Welcome to A-Plan, Maidenhead, your nearest branch. 104 High Street, Maidenhead, SL6 1PT mile away. 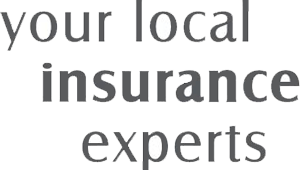 As your local insurance broker, A-Plan Maidenhead has been serving clients in your area since 2010. We have specialist facilities for private car, home & contents and commercial vehicle insurance. A-Plan Maidenhead opened 19th June 2010. With an experienced team we will walk our clients through everything from start to finish of all their insurance needs. It is vital for us that all clients have a full understanding of their policy and that it meets all of their needs at a competitive price. We mainly focus on car, home, van and landlords Insurance however our philosophy is to help with all your Insurance needs. And, in the event of a claim our in-house claims adviser will be delighted to help in your time of need. Based on the High Street we strive to exceed all expectations and go the extra mile for all clients throughout the policy year leaving you with every reason to want to continue our relationship for years to come. We are proud to say that over 30% of our new clients come from recommendations from our existing clients. Your Maidenhead Branch Manager. Get the right cover at a great price! Put our local team to the test to see how we can help you.